INDOOR AIR QUALITY (IAQ) | Wythe Sheet Metal, Inc. When it comes to feeling comfortable in your home, the old saying “it’s not the heat (or cold) – it’s the humidity” rings true. Other than ambient temperature, nothing affects a body’s perception of comfort more than the humidity level, there’s a fairly narrow range between what is considered “too much” and “too little” of it. Wallpaper is peeling, while your paint or plaster is starting to crack. Damp spots, or worse, mold and mildew, have formed on ceilings or walls. Your house is a breeding ground for termites, cockroaches and other pests. Use ventilation fans in kitchens and bathrooms when in use. Ensure that your fans are venting directly outside. The Trane CleanEffects, is the most effective whole-house air filtration system available. The CleanEffects not only out performs even the best HEPA filter, it is designed to help deliver what we call Trane Air throughout your home – air that is heated as well as cooled, thoroughly conditioned, meticulously filtered and cleaned of up to an unprecedented 99.98% of airborne allergens that pass through the filter. With Trane CleanEffects as a part of your total comfort system, you and your family can breathe easier than ever before. The optimal range for annual indoor relative humidity (RH) is between 35% and 55%. 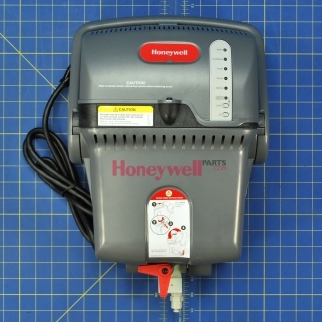 Unlike portable humidifiers that are only effective in the rooms they are located in, or other whole-house humidifiers that only deliver moisture when your heating equipment is running, Honeywell’s TrueSTEAM Humidification System is truly different. TrueSTEAM works independently of your heating and cooling system, so your home gets the moisture it needs exactly when it needs it. TrueSTEAM is the most eco-friendly way to humidify your home, because it uses up to 70% less water while delivering more moisture. 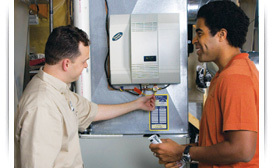 In addition to keeping your home and family comfortable, TrueSTEAM can help reduce heating bills. Because humidified air feels warmer, you’ll be able to turn your thermostat down for saving.